I put pen to paper and wrote up a list of the best of the best of the year. From makeup to nail polish to the most talked about subject of the year, skincare. Over the next three days every day I'll publish a post with my favorite products of the previous year. In all honesty, this year was the year makeup took more of a backseat for me. I bought far less makeup than I did in previous years and the items that I did buy had a much heavier price tag. I used to feel like high end makeup was a waste of money. Why buy one Chanel lipstick if I can buy ten of them from Catrice for the same amount of euros? Well, over the past months I figured out why. They're so much nicer. Admittedly not all items mentioned in this post are high end, because there has been one brand this year that has stepped up to the plate and has constantly brought out great quality items for a wonderfully affordable price. And that brands is Bourjois. From their great cream blushes to a cover all concealer that doesn't go dry on the skin, the brand is doing fantastic things. 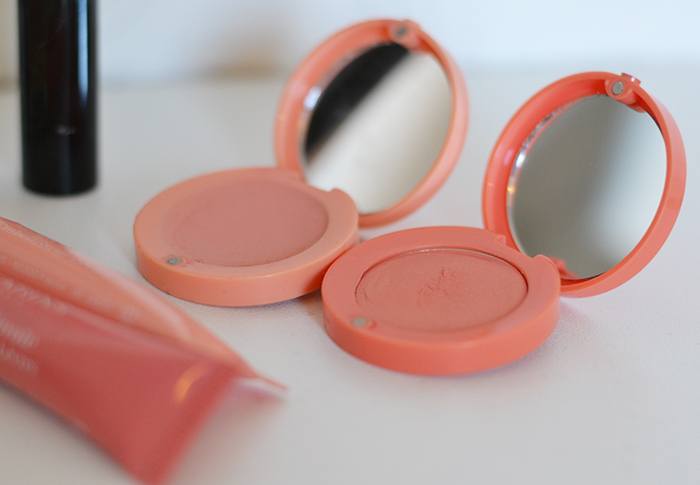 My only wish for the next year is that they add a few more colors to their cream blush collection. 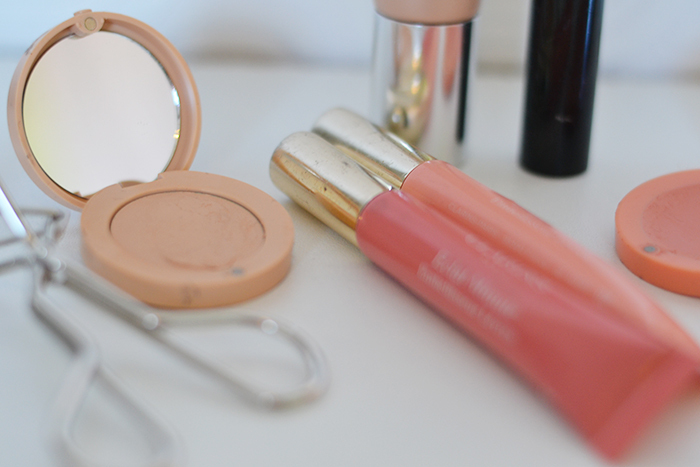 Changing from a bright lipstick girl into someone that never leaves the house without a tube of Clarins Instant Light Natural Lip Perfector was something I never imagined would happen. But it did. This stuff is just incredible. It has a subtle shine and hint of color but it also moisturizing and not sticky at all. They're so lovely to just pop onto your lips. I want all the colors. 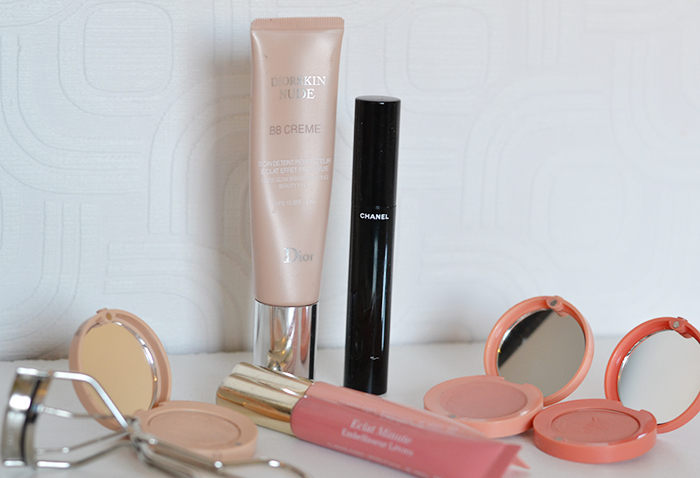 The Dior BB cream is probably not a surprise to people that read my blog regularly. I absolutely love this stuff. I'm still on the first tube I purchased back in August. I'm saving the last dregs of it for special occasions. But I'm afraid I'll have to commit to a new tube soon. My poor bank balance. The only mascara that I have used for the last three months or so is the gorgeous Le Volume de Chanel. Sleek black packaging aside (which is so much better in clear Muji storage than let's say a bright orange thing) this stuff works wonders on my lashes. It holds curl, provides sumptuous volume and length, while keeping your lashes clump free and glamorous. It might be ridiculously expensive, but it's so wonderful. The lash curler with the trickiest name of all, some might say it is overpriced, but I believe the Shu Uemura lash curler is worth every single penny. The revelation I had upon using this for the first time made me toss out my old drugstore one immediately. This lash curler has made my life so much easier. It provides great curl that lifts the eye and really transforms your look instantly. And the curls lasts forever as well. It's fantastic, I love it. I really want to try that new s-curler of them as well. Goes to show that even though makeup wasn't the most bought thing this year I still have a deep love for cosmetics. Just doing a face of makeup can lift your spirits and promote productivity. I can't wait to see what gems get added to my collection in 2014.